Don became editor of EMAg in July 2014 following a nearly 36-year career in daily journalism as a music critic and arts reporter. He was on the staff at The Plain Dealer in Cleveland for 21 years and previously served as music critic of The Pittsburgh Press and the Akron Beacon Journal. Don has written for Gramophone, Symphony magazine, Opera (London), Opera News, Early Music America magazine, and many other publications. 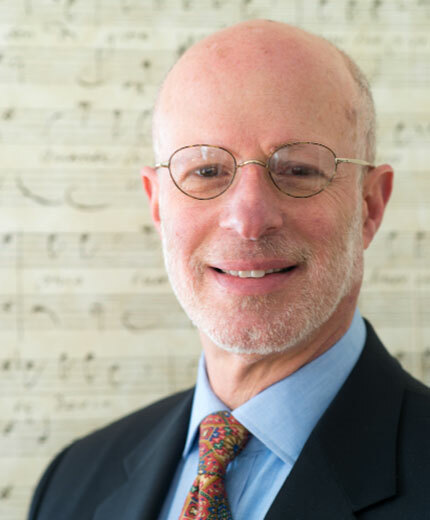 He is the author of The Cleveland Orchestra Story: "Second to None" and former four-term president of the Music Critics Association of North America. Don majored in French horn at the Mannes College of Music and the Yale School of Music. He was a participant in the Aspen and Marlboro music festivals, where he performed under such conductors as Herbert Blomstedt, John Nelson, Pablo Casals, and Leon Kirchner. While at Yale, he mustered the courage to play Bach's Brandenburg concertos nos. 1 and 2 on the same program. When not editing EMAg in Shaker Heights, Ohio, he teaches music criticism at the Oberlin Conservatory and classes for Case Western Reserve University's Laura & Alvin Siegal Lifelong Learning Program.